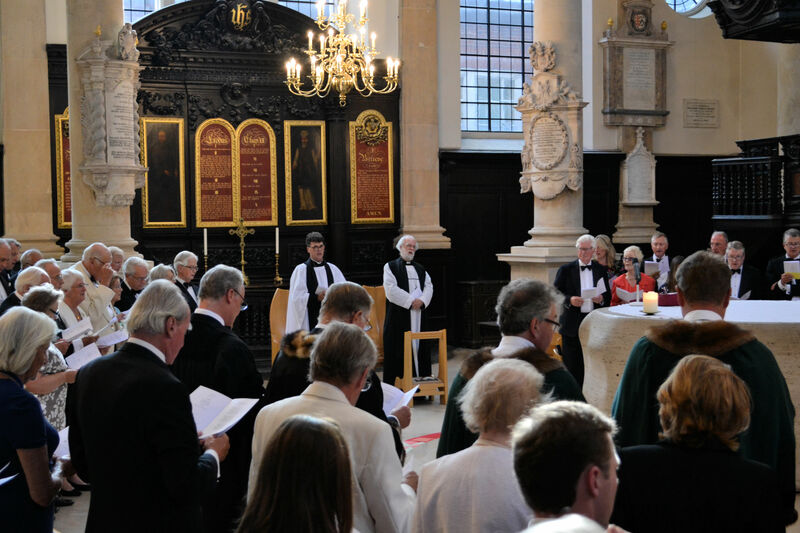 We were delighted to welcome our patrons, The Worshipful Company of Grocers, to St Stephen Walbrook for their Election Service this evening. 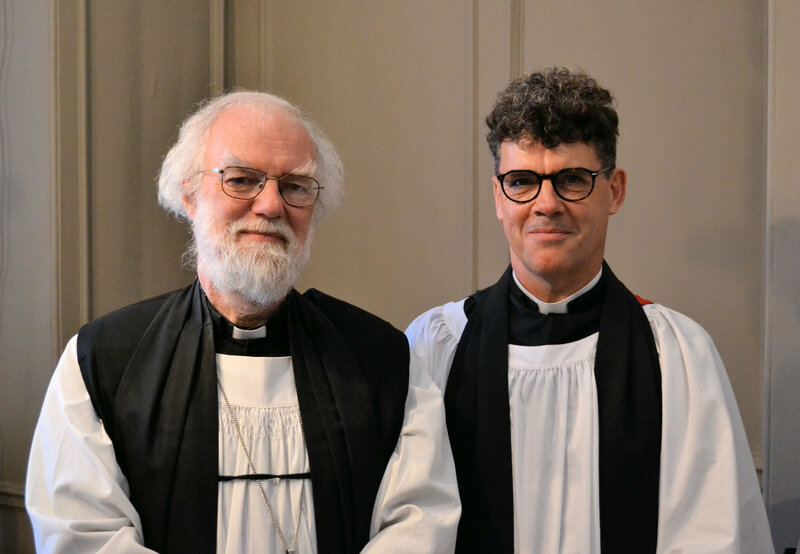 The service was conducted by The Reverend Stephen Baxter and the sermon was given by The Right Reverend and the Right Hon the Lord Williams of Oystermouth, Master of Magdalene College Cambridge; the college is also a Patron of our church. Our choir, The St Stephen’s Voices, were conducted by Dr Andrew Earis. 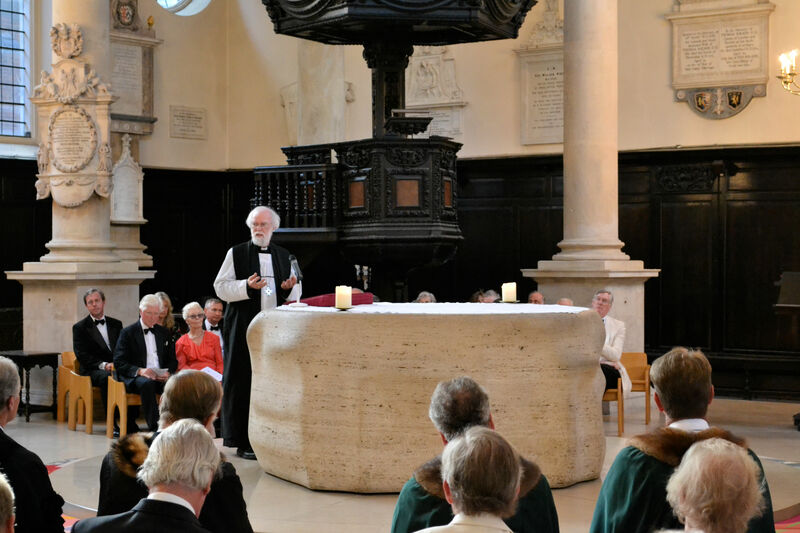 In his sermon, Dr Williams spoke about St Thomas the Apostle, whose feast day we celebrate today. He explained that he has been challenged by a friend to find a link between St Thomas and the Worshipful Company of Grocers. Dr Williams explained that St Thomas followed the Spice Route to India; which perhaps provides the best connection to the Company; originally known as the Guild of Pepperers. He suggested that when we speak of the history of London as a global city, we must not only remember the history of trade and commerce but look around and see what that history has brought us – a world of interconnectedness; where our well-being and those of our families are bound up together – a world where we cannot create ‘exclusion zones’ around us. In the words of John Donne “No Man is an Island”. We are one body. Through our inter-connectedness it is possible to recognise what at first may seem strange. For St Thomas, preaching the gospel in India must have been as culturally distant from Palestine as you could imagine, but people listened – they recognized the gospel message; and through this they recognized one another as participants in a common human destiny. It is incumbent upon all of us, in this Company and this Church, to continue his work today.